At Blanchard Security, we understand the various security issues that harbour management deal with on a regular basis. As a systems integrator, Blanchard Security provided a turnkey security solution. 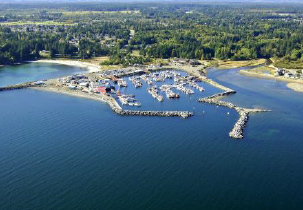 Security is an important requirement for many harbours here on the West Coast. We meet the security needs of our harbour clients by using the latest and best suited products the industry has available. For that reason, we choose North America’s leader in video management platforms, Milestone Systems, maker of Milestone XProtect. As a partner and authorized dealer of Milestone Systems we provided the French Creek Boat Harbour with the best integrated solution that the market has to offer.